Exclusive: Civil libertarians are cheering federal judge Richard Leon for his ruling against the NSA’s massive surveillance program and that’s all to the good but Leon’s route to the bench followed a twisted course of partisan investigations and one historic cover-up, Robert Parry reports. 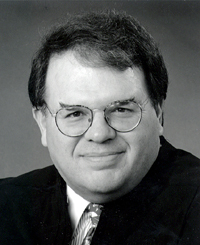 U.S. District Judge Richard Leon is winning kudos across the political spectrum for a ruling that rejects the constitutionality of the National Security Agency vacuuming up the metadata on virtually every phone call made in America. Leon clearly possesses a libertarian streak, but he earned his place on the bench by running a partisan cover-up of a historic crime. Leon was appointed to his lifetime judicial post by George W. Bush in 2002 after Leon won the gratitude of the Bush Family by protecting its interests as an aggressive and reliable Republican legal apparatchik on Capitol Hill. There, the heavy-set Leon gained a reputation as a partisan bully who made sure politically charged investigations reached a desired outcome, whatever the facts. But Leon’s most important work for the Bushes may have come in the 1980s and early 1990s when he helped construct legal justifications for Republican law-breaking and sought to intimidate Iran-Contra-related witnesses who came forward to expose GOP wrongdoing. So, one could say that Richard Leon was there at the birth of what became George W. Bush’s imperial presidency, which gave birth to the NSA’s massive spying operation which Leon declared unconstitutional on Monday (although Leon stayed his ruling to give the government time to appeal). But Leon’s crucial work in the Capitol Hill trenches of partisan warfare went beyond erecting the legal barricades behind which Republican presidents could hide their illegal acts. More significantly, he launched frontal assaults against GOP “enemies,” i.e. whistleblowers who threatened to expose the crimes. In 1992, when a House task force was examining evidence that Reagan and Bush began their secret contacts with Iran in 1980 while trying to unseat President Jimmy Carter, Leon was the Republican point man to make sure nothing too damaging came out that could threaten President George H.W. Bush’s reelection campaign. 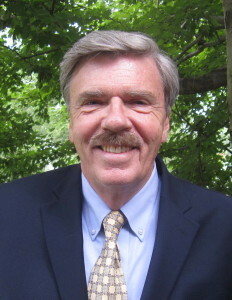 Leon served as chief minority counsel to the House task force investigating the so-called October Surprise allegations. At the time, evidence was mounting that Reagan and the senior Bush had interfered with President Carter’s efforts to gain the release of 52 U.S. hostages held by Islamic radicals in Iran, a crisis that helped doom Carter’s reelection in 1980. When Jamshid Hashemi stuck to his account in sworn testimony before the task force in 1992, he said Leon tried to pressure him to recant his allegations. “I found this Mr. Leon who I knew as ‘the fat man’ every time we had a break and my lawyer would go to the washroom, he would rush into my room where I was sitting and say, ‘come on, change the story’,” Jamshid Hashemi told me. Declassified documents from the George H.W. Bush presidential library also reveal how in 1992 then-President Bush and his team counted on Leon’s help as the White House sought to restrict congressional access to key papers. Years later, Barcella told me that so much new evidence in support of the October Surprise allegations poured in late in the investigation in December 1992 that he urged task force chairman, Rep. Lee Hamilton, D-Indiana, to extend the deadline for several months. Hamilton, however, refused and ordered the probe wrapped up with a finding of Republican innocence. While concealing the Russian report and other evidence corroborating the October Surprise allegations, the House task force released its negative findings on Jan. 13, 1993, and went on the attack against the witnesses who had rejected Leon’s demands that they recant their testimony. In January 1993, task force leaks indicated that Jamshid Hashemi and Ari Ben-Menashe would be referred to the Justice Department for prosecution on perjury charges. However, no such indictments were ever returned. Over the years, both Hashemi and Ben-Menashe have stuck to their stories. In the later release of documents from the Bush library, one was particularly relevant to Hashemi’s claim that Casey had traveled secretly to Madrid, a claim that The New Republic/Newsweek articles and the House task force had rejected (albeit with contradictory and false alibis). Earlier this year when I interviewed Hamilton about the Beach memo citing Casey’s Madrid trip, the former congressman said the information had been withheld from his investigation and would have surely altered the task force’s conclusions. 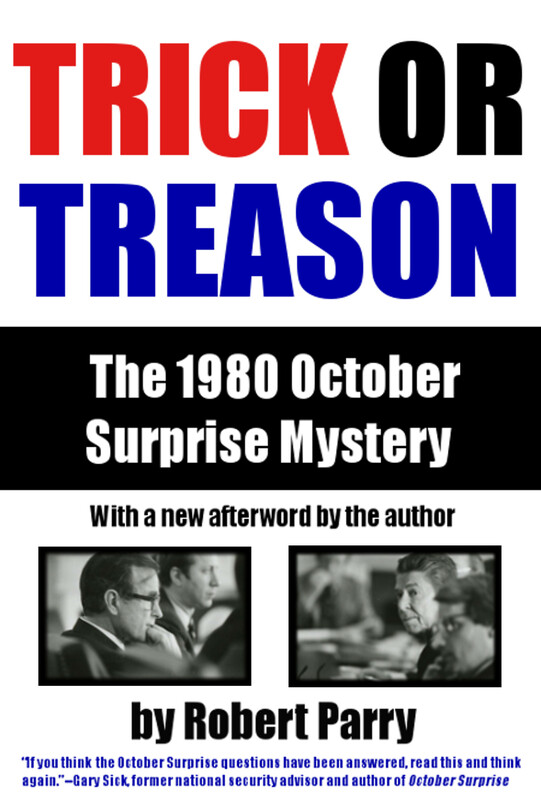 The House task force’s failure to get at the truth about the October Surprise controversy resulted, in large part, from a determined cover-up by George H.W. Bush’s administration, but it also benefited profoundly by having a key operative inside the investigation, Richard Leon. So, when George W. Bush, the eldest son of the former president, found himself in the White House in 2001 (with the help of five Republican justices on the U.S. Supreme Court), Leon’s name landed on a list of judicial candidates. 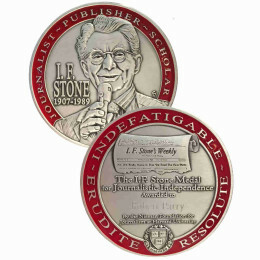 He was nominated by Bush on Sept. 10, 2001, and confirmed by the Senate on Feb. 14, 2002. But now with a Democratic president in the White House and with a lawsuit before him brought by right-wing activist Larry Klayman (who like Leon cut his proverbial teeth on the Clinton-era Whitewater “scandal”), Leon ruled in favor of Klayman’s lawsuit. Given the passion expressed in the ruling calling the NSA’s technology “almost Orwellian” one might assume that Leon is simply expressing his inner constitutionalist. And that may well be the case. It is not uncommon for federal judges, after they get lifetime tenure, to demonstrate more intellectual independence. But there is also no changing how Leon earned his Republican spurs that got him on the federal bench in the first place. I wish I had known about this bizarre tidbit sooner. Watching an old YouTube video, I was shocked to hear “Judge Leon” mentioned in reference to what I took for a piece of yellow journalism. But I searched the name I had never heard before along with “Judge Leon”. It appears to be the same Judge Richard Leon who ruled against a lawsuit brought by one of the country’s most powerful law firms, Patton Boggs. The name was “Larry Sinclair”, and the whole story seems to contain an element of partisan political skulduggery. Decide for yourselves! Judge Leon also quashed a key attempt to regulate the Israel lobby. AiPAC was caught red-handed coordinating political action committees in the 1980s. Concerned citizens sued. The case rose to the Supreme Court and was stuck for two decades in litigation before landing on Leon’s desk. He dismissed it for the most spurious of technicalities. What a tool. Whatever he’s now doing on the NSA issue, rest assured, it is not for the right reasons, and won’t end well. Or this is a publicity stunt, like the hearing on Iran-Contra was, as there is agreement that they had already punished who they were going to punish and absolve who they were going to absolve before the hearing even took place. And by making this ruling he’s just setting it up to be rushed through the Supreme Court and declared constitutional before Greenwald can publish anything wore damning than he already has. (He indicated on the BBC that “half” of the reporting on the Snowden leaks has yet to be done.) Though perhaps there is nothing left to damn it. And perhaps the constitutionality of electronic surveillance is not as controversial as it first seems, and rather an inevitable step in the computer age. You have to look at the extent to which we already agree to let technology pervade our environment, public or private. And in a democracy, if the majority of people want to be able to wear Google Glass and fly consumer drones and browse satellite images, then there is very little that will not be surveillable, and therefore little expectation of privacy while in range of any of those devices. Technology and privacy just may not be compatible. I feel the only true answer to any of this may be to admit the loss of all electronic privacy, and instead work to even the odds. Though it’s going to take a lot more education, something the average person has shown themselves unwilling to do even in regards to the most basic aspects of their operating system. It may be that liberty entails being able to electronically surveil the government conducting electronic surveillance on them, because until we can know what’s going on behind closed doors we can’t know that we actually have privacy. Since Flame was discovered, we have to assume there will be surveillance software on our machines without us knowing, regardless of encryption methods to exchange that information. And if software and hardware manufacturers are complicit (as the phone and data companies have proved to be) then we cannot assume that by using their products we are reserving our privacy. Quantum computers and rainbow tables are going to lay the best methods we have in the current generation wide open. Remember, nuclear weapons are networked, too. Executive power and the willingness of federal judges to support that executive power will always provide a means to circumvent legal precedent, if a regard for the law is even something that exists whatsoever. See: our foreign policy. So it becomes a matter of being able to universally observe the process of law, whether it’s the hacker next door, or the hacker in Utah. Or not use the technology at all, though even that may not be possible if there’s always a microphone or a camera in everyone’s pocket, and a satellite and a drone providing wide area networks to the farthest reaches of the earth. If the next theater of war is virtual, then these aren’t merely Fourth amendment issues, but Second Amendment issues, and virtual arms may include not only methods of impeding surveillance, but of conducting surveillance itself. And while it certainly challenged our accepted practices, it wasn’t the Patriot Act or classification or the CIA that reared these legal contradictions but the advent of the technology itself. It may be that networked machines are ultimately public machines, with which needs to come a significant change in worldview. We should have no expectation of privacy the moment we install a network device into our computer. Or the moment we use a computer that we didn’t personally manufacture every component of or develop the software for. I’m not saying there are secret nanotransmitters hidden in our refrigerators or algorithms in the last update of Mountain Lion, but we now know that wherever the capability for them to be exists, we have to expect they will be. No law is going to change that. I’m not sure why I chose this article to make this sort of reply, but I just have a sneaking suspicion that we’re just rowing against the current to even consider this a victory. The more one reads about the cover-ups, bullying and illegalities committed by our corporate/government leadership, the more one can appreciate the hard work it takes to follow up and verify the many pieces of these stories, considering the lengths to which the perpetrators go to to cover their sins. But as valuable as this reporting is (and I check in with this site daily), aren’t we approaching the time when the collective effect from them can now be presented as proof of decades’ long collusion, illegality, dishonesty and corruption at the highest levels of our institutions. It’s time to rip the veil off this all once and for all, and elevate the conversations to points of constitutionality, as the subject of this article has done from his current perch. I suspect that Edward Snowden’s trove will serve this end, and I hope so. We see the world our secret leaders have made for themselves at our expense, and we’re not at all happy. Quite the opposite of the snake oil they’ve been selling for the last 70 years. Interesting insight re: Judge Leon’s history. I agree with the Clapper’s anomalous propensity for stupidity, but think it’s hardly a defense. As to the excoriation of the “heavy-set” “fat man”, aka Judge Leon, for his scurrilous, perhaps unethical/illegal conduct purportedly on behalf of the Bush family, I’m not familiar with the details but hardly doubt Bob Parry has his facts down, with panache! I find it unfortunate that Bob seemingly dismisses Judge Leon’s decision as putatively due to Leon’s previously “who knew” libertarian streak. Obviously, “heavy set” and “fat man” tend to be ad hominem conveniences that help promote Leon’s past bully/intimidating behavior; however, Bob need not reduce his expert status by unnecessary obiter dicta demeaning Leon for his corporeal footprint. Somewhat more disturbing, but short of evoking crocodile tears for Leon, is the brush off of Leon’s decision as purportedly welcomed only by the likes of ACLU and libertarians. I seriously doubt there’s reportorial support that only such people welcomed Leon’s decision. Lastly, Bob seems to be hot to punish Leon for past sins that may have gone unnoticed by the masses, and loath to give an serious attention, possibly for good reason, to the possibility that Leon is now more secure, with judicial tenure, to act like he is supposed to as a judge with a mission to uphold fundamental rights. If memory serves, Bob was thought, early on, to not be quite so hard on the Obama administration and his body of work demonstrates he reliably was about Republican miscreants. Though I recall Bob never owned the criticism that he was too soft on Obama regarding failure to prosecute for torture, and the litany of other malfeasance and misfeasance that he accused purist progressives of pointlessly critiquing, foolishly given that Republicans, impliedly were the enemy, and tainted but sainted Obama was the horse progressives rode in on and the only horse that could bring ’em home. I think there are few high crimes and misdemeanors that the Democrats have not been predominantly complicit with Republicans in the commission. Whatever Leon’s past outrages, his decision deserves objective assessment and not a backhanded review with ridicule for his corpus undelectable and neglect of the potential that he might be redressing his past offenses, possibly growing in his robes…so to speak. Maybe some of the Republicans are merely motivated by self-preservation. The NSA “hoovering” of all electronic communications could at some time in the future become a Watergate redux. Nixon laid a trap for himself with the Oval Office taping system. Had he been able to plausibly deny its existence, he might never have had to resign. That a piece of evidence “exists” makes it subject to subpoena. Illegal wiretapping has served several Presidents well. Officially, it didn”t “exist”. In order to subpoena such evidence, one would have to first prove that it “exists”. That can be plausibly denied, because after all, it’s illegal. As we know, the clandestine services answer to no one. If deemed unconstitutional, the practice will continue. An administration desiring to abuse its authority then has the best of both worlds: the information gathering it wants, and a codified doctrine denying that it exists. Nixon fell victim to his own double whammy. Knowing his conversations were taped, he often spoke in evasive, enigmatic terms. Taken out of context, many of those utterances became incriminating. Hey, he was no angel, but there was more to that story than we know. Nevertheless, having his cake and eating it too is what got him. If NSA’s electronic spying capabilities had been in place in 1980, there would have been more than enough “smoking guns” to convict Reagan, Bush, Casey and Gates of treason. But first, someone would have had to prove it “existed”. When was the last time any of these people volunteered any information? The JFK Records Release Act was passed by Congress in 1992, and we’re still waiting. My guess is, the NSA wants their activities to be illegal. They can claim ignorance, and the burden of proof falls on the innocent. Clapper should be fired for stupidity as much as anything else. The “right” answer to Senator Wyden’s question was, “I can neither confirm nor deny”. Or, he could have fallen back on, “That would be illegal”, which is a true statement. Thankfully, he chose to lie. I’m getting tired of people insisting the government never lies to us, when any fool should know better.